While we still make use of the existing overnight facilities for private groups, due to logistical complications, we no longer offer fixed departure dates for open groups. 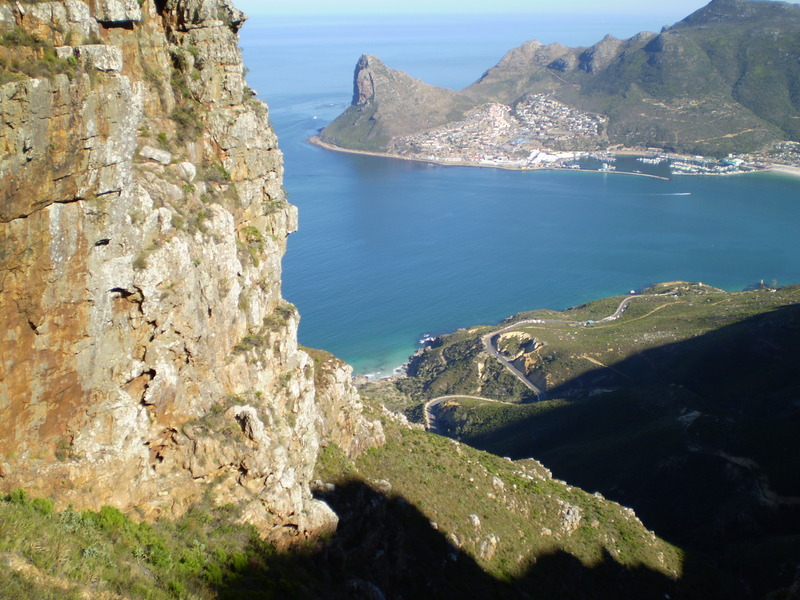 The Hoerikwaggo Trail was originally envisaged as a six day / five night thru-hike between Cape Point, in the Cape of Good Hope Nature Reserve and the Upper or Lower Cable Station on Western Table of Table Mountain, close to the outskirts of the City of Cape Town. Accommodation was planned in five tented camps – Smitswinkel, Simonstown, Slangkop (Kommetjie), Silvermine and Orangekloof, with hiking distances of between 9 km and 18 km per day. Due to a variety of factors including the damage to one of the camps by fire, vegetation fires, private land access and security concerns it is not possible to offer an uninterrupted hike. Although the paths used by the trail are still in existence, some are closed due to extensive fire damage and only three of the camps are operational. There have been incidents of crime on some of the more remote sections of the trail and although these are rare they are not recommended for small groups and without sound local knowledge. The tented camps at Orangekloof, Slangkop (Kommetjie) are still operational, as well as the camp at Smitswinkel**, near the Cape of Good Hope Nature Reserve Gate. Routes can be planned according to the needs of private groups, using these options, but in most cases transport of hikers to the start or from the finish of the days hiking may be required, particularly if the route has more than two days of hiking. Camps are not exclusive to hikers and are often booked up well in advance, particularly over weekends and holidays. Considerable forward planning is required. The optimum group size is six to ten, where a standard rate applies. Groups of less than six attract a higher rate. We offer value added services of guiding, catering and logistical support. If these services are not required, please contact Table Mountain National Park for information. ** We do not generally use the Smitswinkel Tented Camp as our experience is that these tents are extremely noisy in windy conditions. The area is subject to frequent high winds. For more information on guided or catered tours e-mail below. For more information and bookings please complete the TRAIL ENQUIRY FORM or e-mail info@slackpackersa.co.za. Slackpacker South Africa is an independent service provider offering guiding, catering, transport and logistics services on the Hoerikwaggo Trail. All guides are accredited tour guides and qualified mountain guides.